Atlantic Lottery is in the business of fun. But “fun” isn’t typically associated with implementing a new software solution. In fact, “pain in the neck” (or a less polite euphemism) tends to be more accurate. 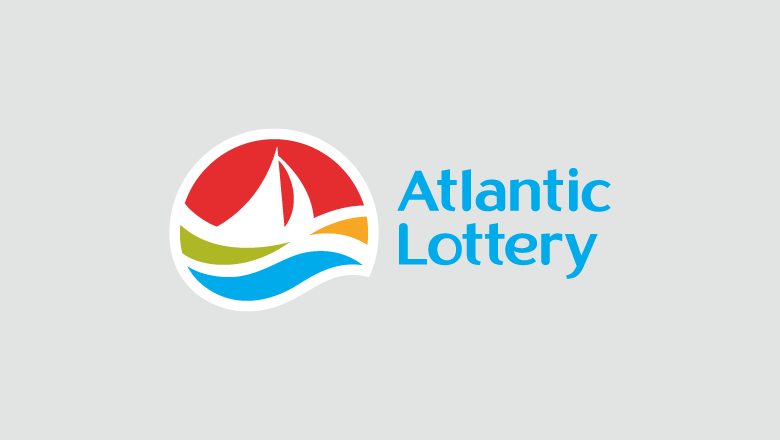 Established by the four Atlantic provincial governments—New Brunswick, Nova Scotia, Prince Edward Island and the Province of Newfoundland and Labrador—Atlantic Lottery works to provide lottery games for all Atlantic Canadians. Fortunately, the organization’s customers aren’t the only ones to get lucky. Sprout Social onboarded and trained 25 Atlantic Lottery team members from various departments in a little more than two weeks, resulting in a social media payoff even the most discerning lottery player would be proud of. Atlantic Lottery has long been an innovator, from pioneering barcodes on lottery tickets to allowing individuals to play the lottery on the internet. It’s only fitting the organization would now be focused on social. Atlantic Lottery worked with digital marketing agency Simmons Sharpe to develop this corporate social media strategy and governance structure. 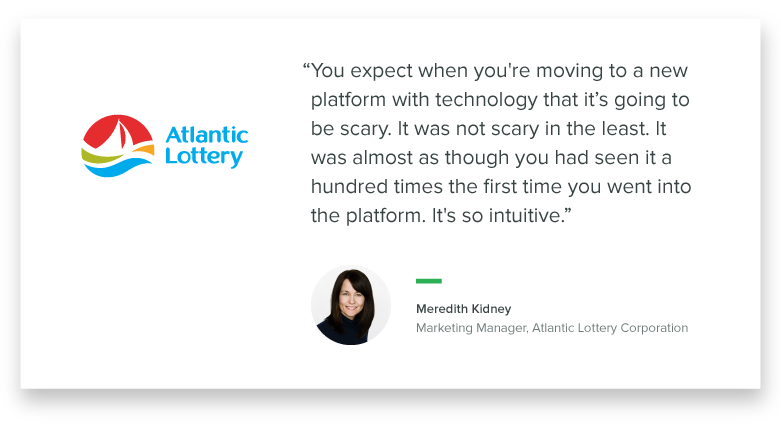 Early on, Simmons Sharpe identified a need for a tool that would help unify Atlantic Lottery’s marketing, communications and customer care teams to effectively engage with customers on social media. 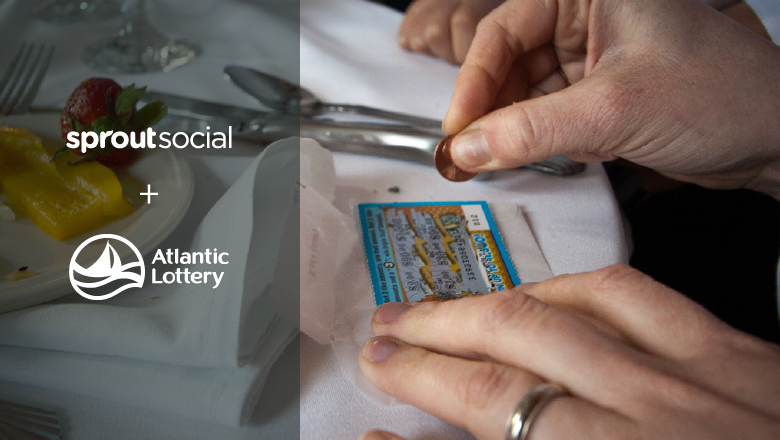 Previously Atlantic Lottery was using native applications for social media. The organization had invested in a social media management platform, but getting team members to use it was a struggle. Simmons Sharpe reviewed multiple platforms for consideration and helped Atlantic Lottery select Sprout Social. Enhancing customer care capabilities was also a primary goal. Of course, investing in a social platform to help teams accomplish these goals is one thing. Making sure they’re onboarded, trained and comfortable using the new technology is something else entirely. Planning: Review implementation process, discuss desired criteria, determine timelines and success factors. Technical setup: Configure and set up users, groups, profiles and security settings. Training: Instruct individuals, teams and departments on the use of the platform. Ongoing support: Introduce points of contact to dedicated Relationship Manager, create timetable for regular check-ins to support success. Atlantic Lottery was so confident it moved up its implementation timeline in hopes of having everyone onboarded before Christmas. The Sprout team made it work. That training occurred on a Friday. Everyone was up and running on the Sprout Social platform by that Sunday. It took less than a month from initial introductions to launch, with integration of team members into the Sprout system and onsite training occurring over the course of 10 working days. And just like that, potential pain in the neck was transformed into pleasant surprise. As with any new technology, questions were bound to arise after the training sessions. Sprout was on hand to provide assistance. While the Atlantic Lottery team has only been using the platform for a few short weeks, Kidney is confident buy-in is no longer a problem. It’s good to know adopting a new software solution doesn’t have to be a gamble.